Each year, sixty-five million Americans suffer from low back pain, and that ranks second only to migraines as the most frequent cause of pain. Eighty percent of adults will experience significant low back pain sometime during their life. Second, to the common cold, problems caused by sciatica and sciatica nerve pain are the most frequent cause of lost work days in adults under the age of 45. 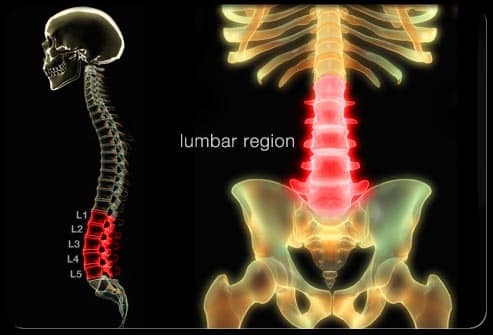 The lower lumbar area of the back is the most common site for back pain, as it bears the most weight and stress. 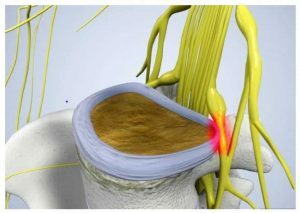 Approximately 90 percent of patients who experience sciatica and sciatica nerve pain and follow a conservative, non-surgical treatment plan can fully recover and live pain-free. Our Sciatica Pain Relief Program was started 10 years ago to give patients a conservative approach in addressing their pain, but more importantly, an approach that achieved results. 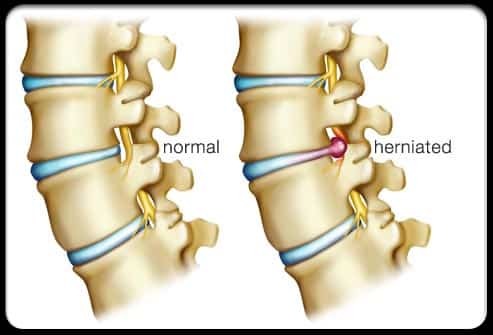 Approximately 1 in every 50 Americans will experience the pain of a herniated disk in their lifetime. Of these, less than 10 percent, will require surgery to eliminate their sciatica or sciatic nerve pain. For patients who follow a non-surgical treatment plan, 60-70 percent recover within six weeks. By week 12 of the conservative, non-surgical treatment plan, 90 percent of patients have fully recovered. The All American Healthcare Sciatic Pain Relief Program is a conservative, non-surgical treatment plan designed so that you can eliminate your pain as soon as possible. Our approach utilizes several modalities but is ultimately designed around your specific situation. 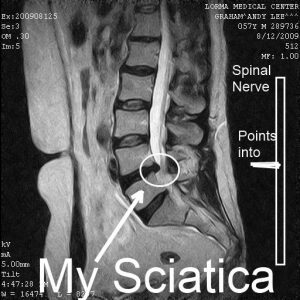 Sciatica is an inflammation of the the longest nerve in the body- the sciatic nerve. 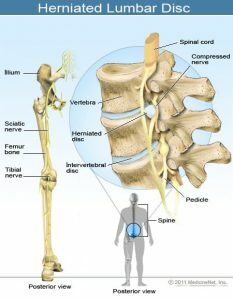 The sciatic nerve runs from the spinal cord, across the buttock and hip area and down the back of each leg. 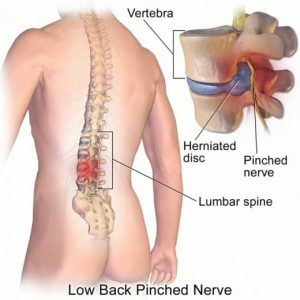 Sciatica and sciatic nerve pain are actually secondary symptoms and indications of a problem in the lumbar region of your back placing pressure on the sciatic nerve. What Causes the Pain or Numbness? 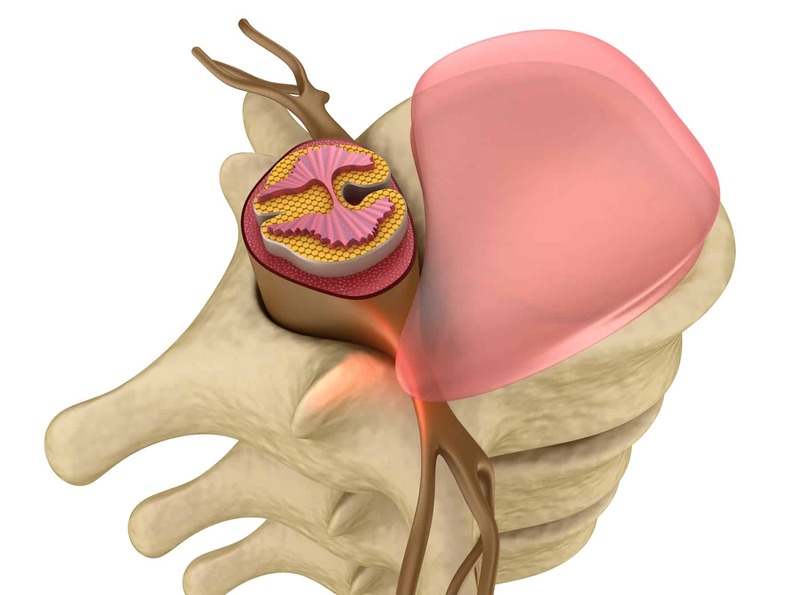 The pain is a direct result of compression on the nerve roots in the lower back. Sciatica can also be referred to as radiculopathy, the medical term that is used to describe pain, numbness, tingling, and weakness in the arms or legs caused by a nerve root problem. 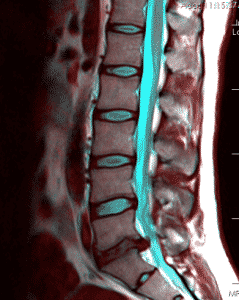 Your spine specialist will start with your medical history and assess the start of your nerve pain. He will also ask about the location of your pain. Is it in your lower back, or your buttocks, or does it radiate down one or both legs? You will be asked to rate your pain on a pain scale as well as its frequency. He will also ask about any muscle weakness, tingling, or numbness in your legs. Can you still work or participate in daily activities and go to work? What have you done to this point to alleviate the pain? Do certain activities make the pain better or worse? 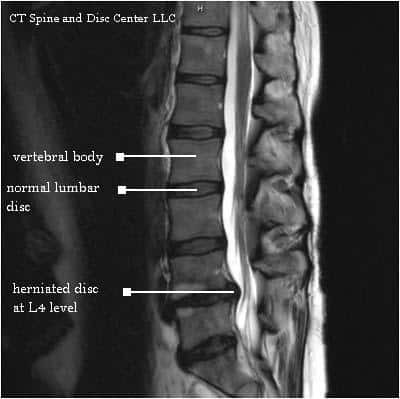 Your spine specialist will then conduct a physical exam that observes your range of motion and physical well being. 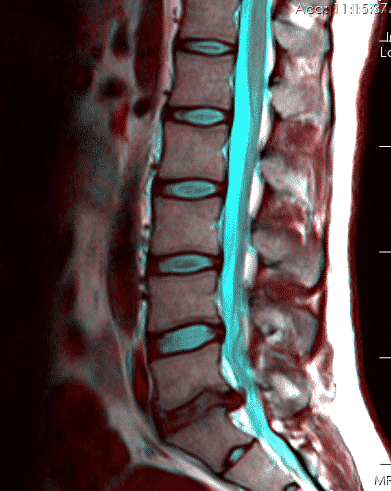 We exam your spine and look for any misalignment or muscle spasms. During the neurological exam, he will test your reflexes, muscle strength, and change in nerve function. 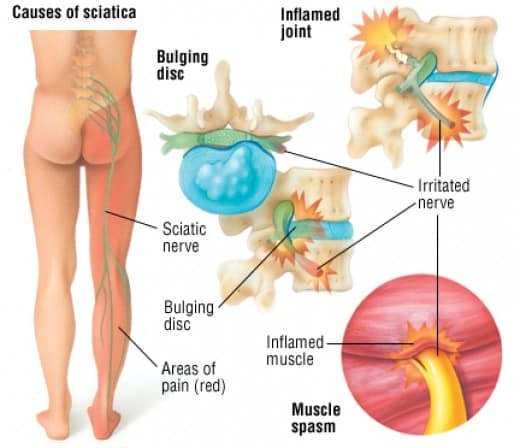 What are the Leading Causes of Sciatica? 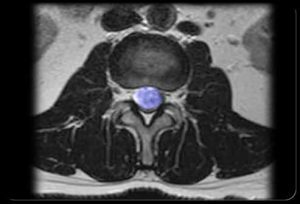 In a bulging disc, the gel-like center (nucleus pulposus) remains “contained” within the tire-like outer wall (annulus fibrosus) of the disc. A herniated disc is when the nucleus breaks through the annulus fibrosus. It is called a “non-contained” disc disorder. Whether a disc bulges or herniates, disc material can press against an adjacent nerve root and compress delicate nerve tissue and cause sciatica. The piriformis muscle is located in the lower part of the spine, connects to the thighbone, and assists in hip rotation. The sciatic nerve runs beneath the piriformis muscle. 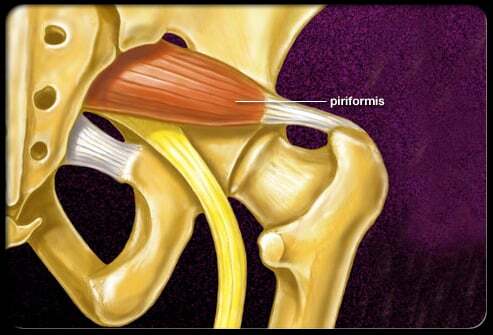 Piriformis syndrome develops when muscle spasms develop in the piriformis muscle thereby compressing the sciatic nerve. Bone spurs are smooth structures that form over a prolonged period of time. The medical term is osteophytes, and they represent an enlargement of the normal bony structure. 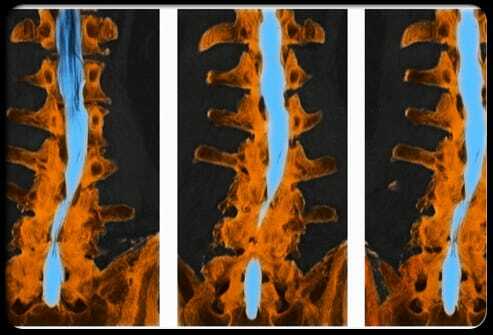 Osteophytes are a sign of spinal degeneration (aging) and are quite common in people over the age of 60. Lumbar spinal stenosis is a condition whereby either the spinal canal (central stenosis) or one or more of the vertebral foramina (foraminal stenosis) becomes narrowed. 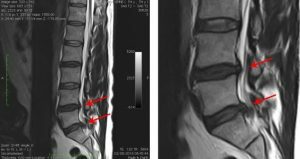 Spondylolisthesis is the forward displacement of a vertebra, especially the fifth lumbar vertebra, most commonly occurring after a break or fracture. 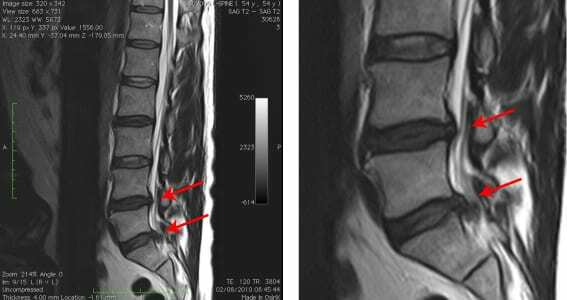 Backward displacement is referred to as retrolisthesis. 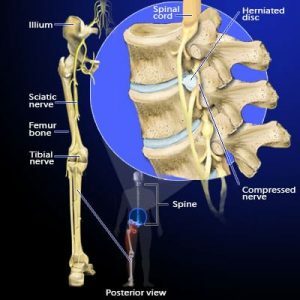 External forces such as falls, auto accidents, and sports injuries are a few ways that the sciatic nerve can become compressed. Physical therapy includes both passive and active treatments. Passive treatments help to relax you and your body. They also prepare your body for therapeutic exercise and more active physical therapy treatments. Extensive research has shown that maintaining physical activity (without bending or twisting) is vital to a quick recovery. Massage therapy targets muscle tension that is putting pressure on your sciatic nerve or related nerve roots. The direct pressure and friction of massage releases the tension in your soft tissues (ligaments, tendons, muscles). Massage therapy has also been shown to increase blood circulation and release endorphins (the body’s natural pain relievers). Ultrasound therapy is used to sends sound waves deep into your muscle tissues and creates a gentle heat that enhances circulation and helps to speed healing. Increased circulation helps to reduce muscle spasms, cramping, swelling, stiffness, and pain. Acupressure is a non-invasive, safe, and gentle therapy whereby trigger points (very localized areas of muscle spasm) are targeted until the muscle tension subsides. 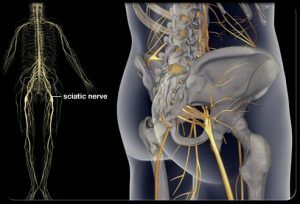 For sciatic nerve pain, the trigger points that are often responsible for the nerve irritation are located in the gluteus medius and minimus muscles, as well as the gluteus maximus, piriformis, and the lumbar paraspinal muscles. 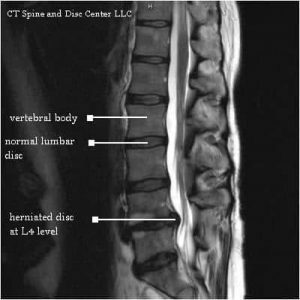 Spinal adjustments and manual manipulation performed by licensed chiropractors are used to realign the spine, correcting problems resulting from the misalignment, and thereby improving nerve transmission. Gentle touches of varying pressure are used to reduce the nerve irritability responsible for causing inflammation, muscle tremors, pain and other symptoms associated with sciatica. This, in turn, helps to address a number of underlying conditions that can cause sciatic nerve pain. Heat therapy is used to promote more blood flow to the target area, which in turn increases the amount of oxygen and nutrients. For example, a heat pack placed on your piriformis muscle may help to reduce muscle spasms that are antagonizing your sciatica. Cold therapy slows circulation, helping to reduce inflammation, muscle spasms, and pain. A combination of alternating hot and cold therapy is often implemented, based on improvement. 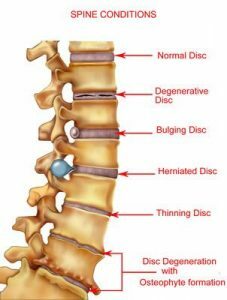 Nonsurgical decompression therapy (as opposed to surgical decompression) is a type of motorized traction that works by gently stretching the spine. 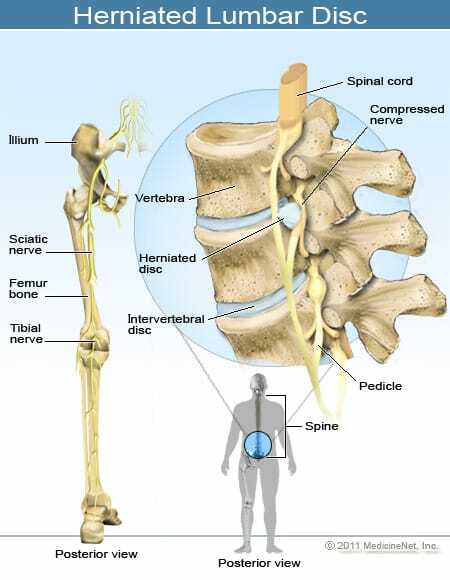 This changes the force and position of the spine, taking pressure off the spinal disks, and your sciatic nerve root. The negative pressure from the decompression causes the bulging or herniated disks to retract and takes pressure off the nerves and other structures in your spine. As a result, your disks receive more water, oxygen, and vital fluids so they can heal. Strengthening exercises are used to help stabilize the spinal column and the supporting muscles, ligaments and tendons attached to it. Most of these exercises focus not only on the lower back, but also on the abdominal (stomach) muscles, and gluteus (buttocks) and hip muscles. Stretching exercises are designed to target muscles that cause pain when they are tight and inflexible. Hamstring stretching is an important part of a sciatica exercise program. 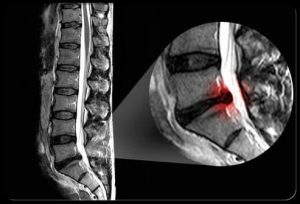 For the Sciatica Pain Relief Program, we accept all major insuranc, and have payment plans for those without insurance coverage. 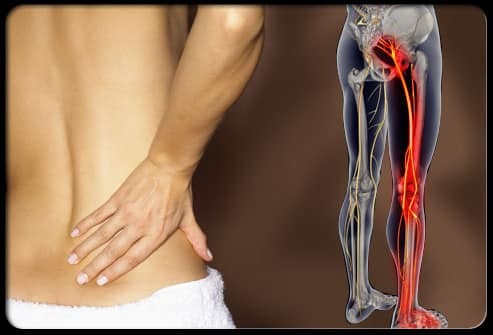 We offer all new patients who are suffering from sciatic nerve pain or sciatica a free initial consultation ($149 value) with our medical staff.